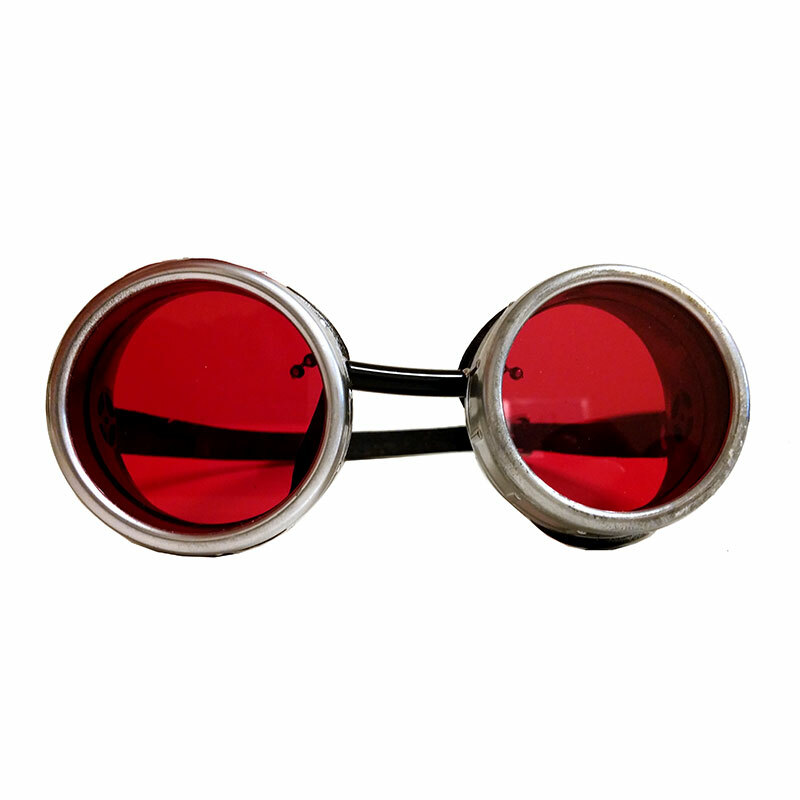 These beautiful and colorful goggles feature a red pearl-like button with a metallic adornment on each side and red lenses. 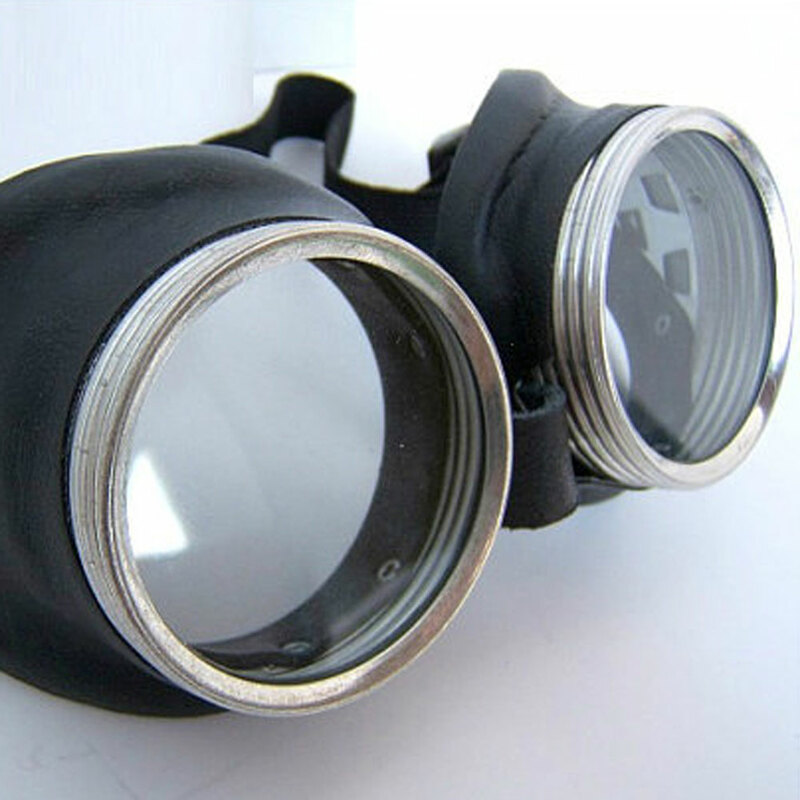 The eye cups feature a dual tone of metallic silver around the rims and a textured charcoal gray outer edge. 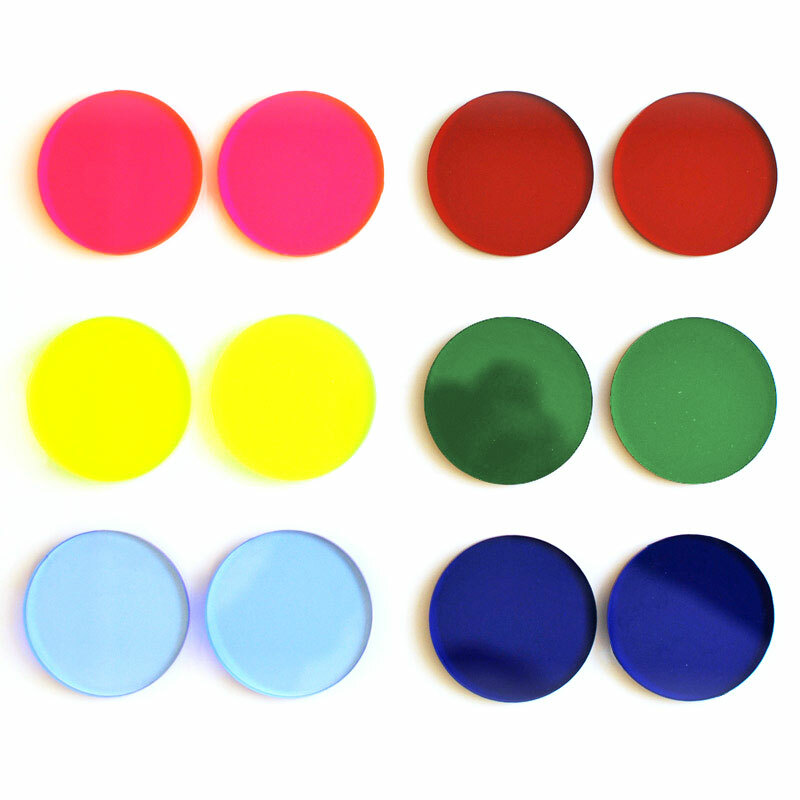 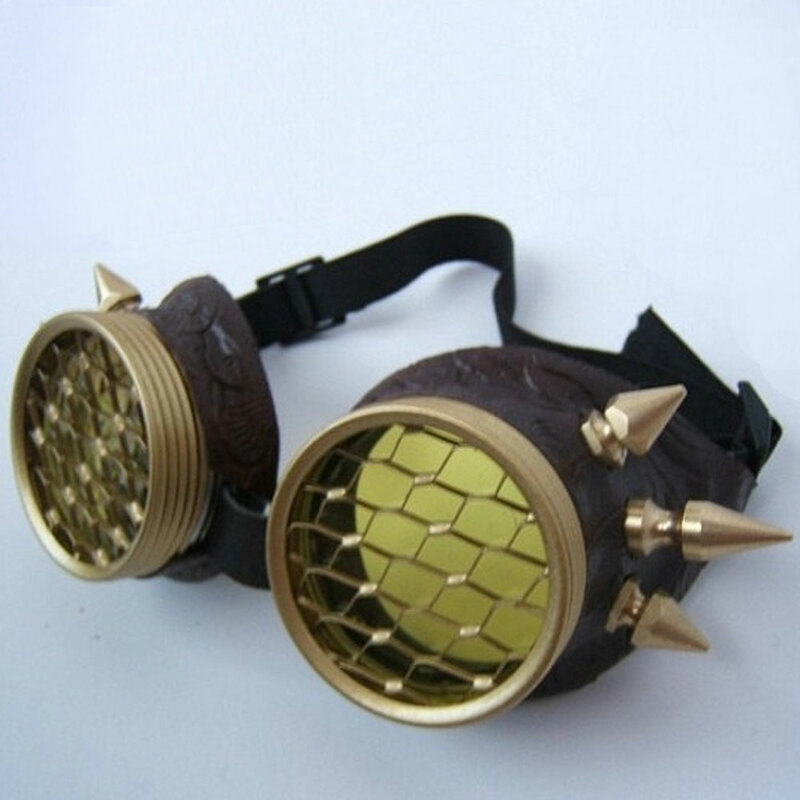 These would make a real statement at your next costume event! 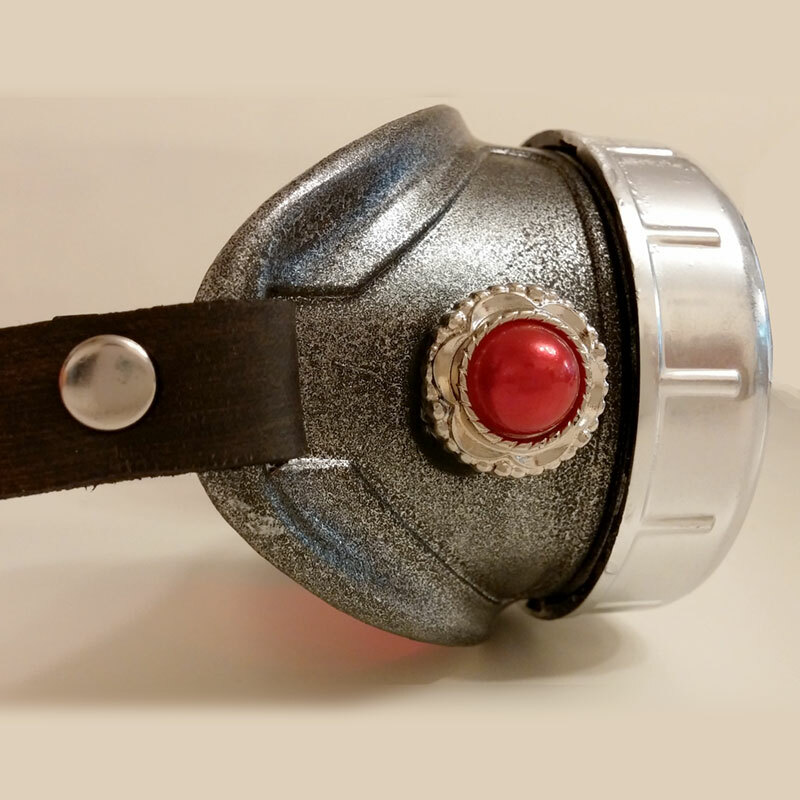 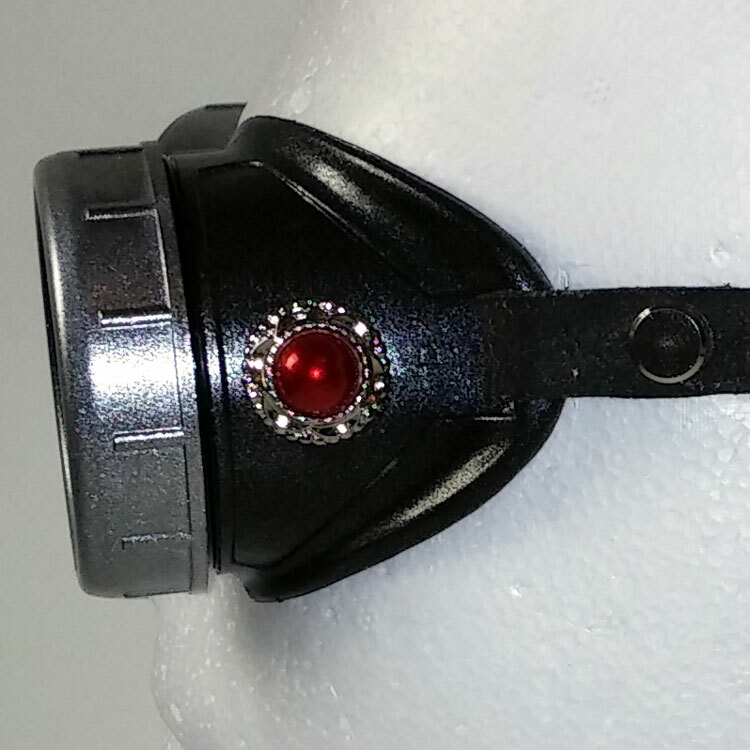 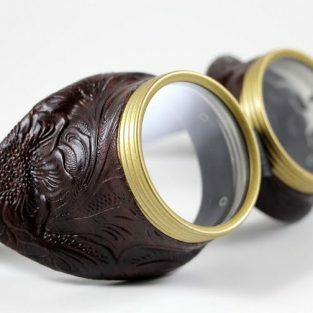 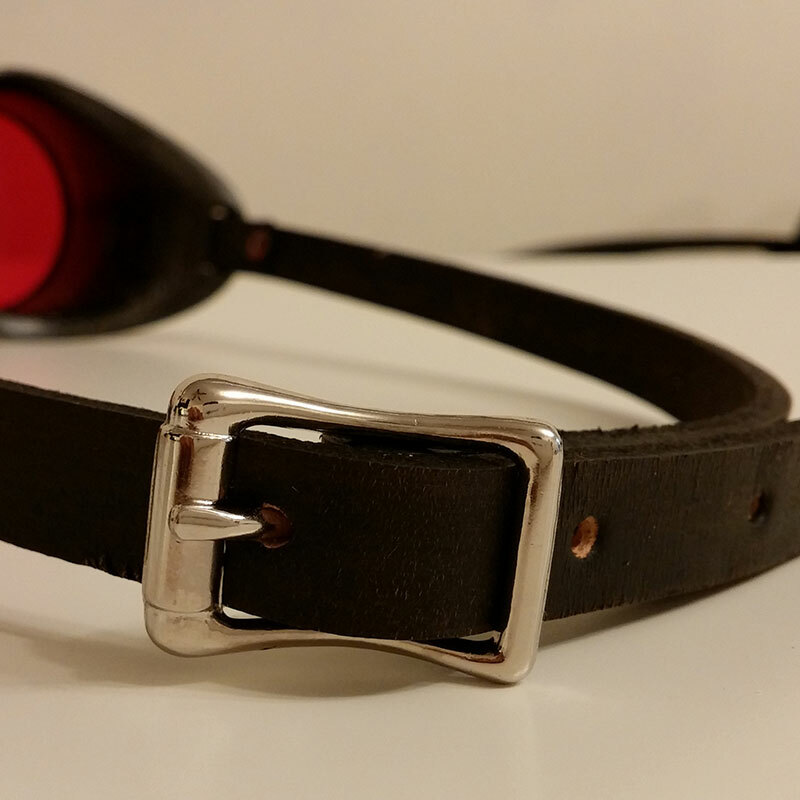 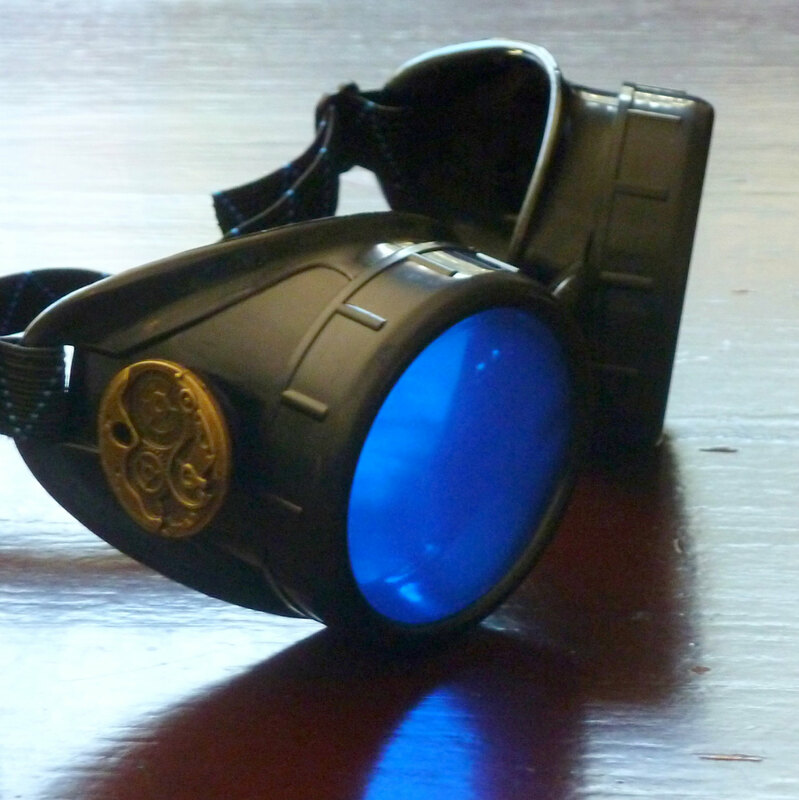 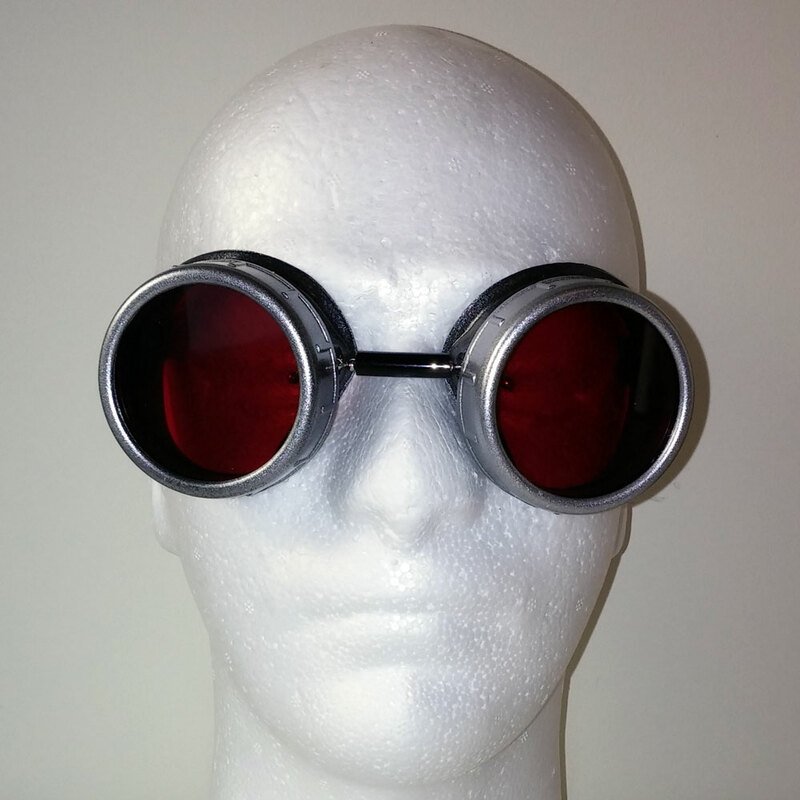 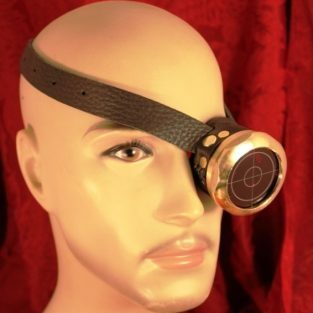 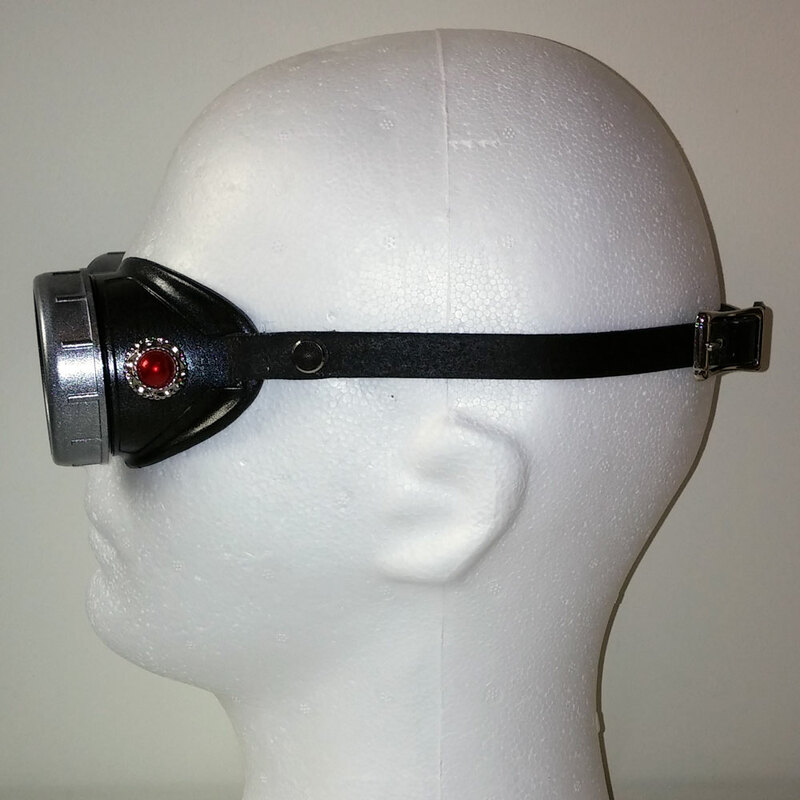 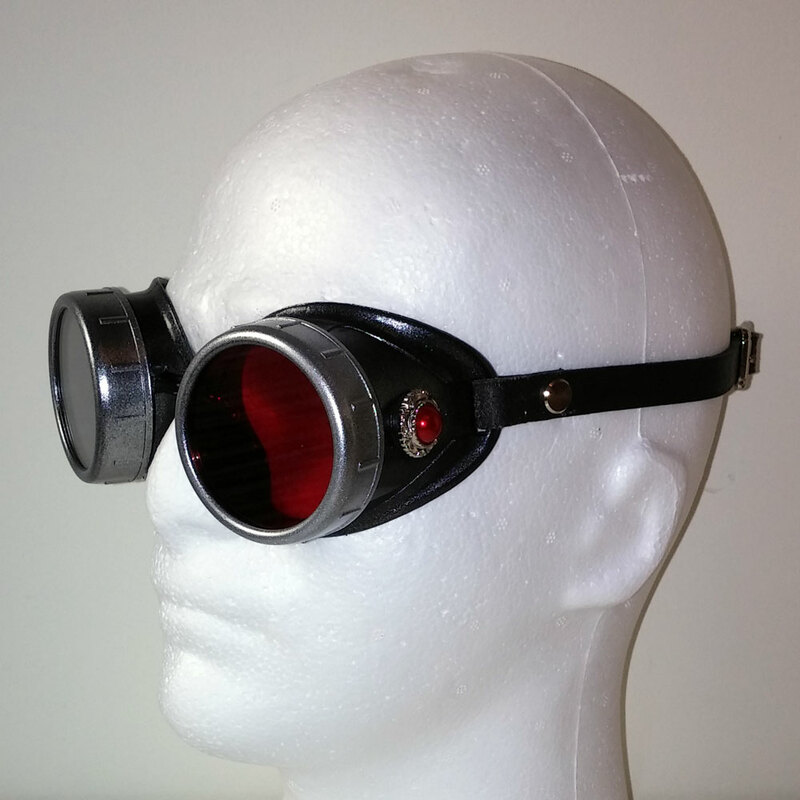 Be the first to review “Red Pearl Steampunk Goggles in Silver with Leather Strap” Click here to cancel reply.